Federal Reserve leaders are facing renewed criticism about their credibility. 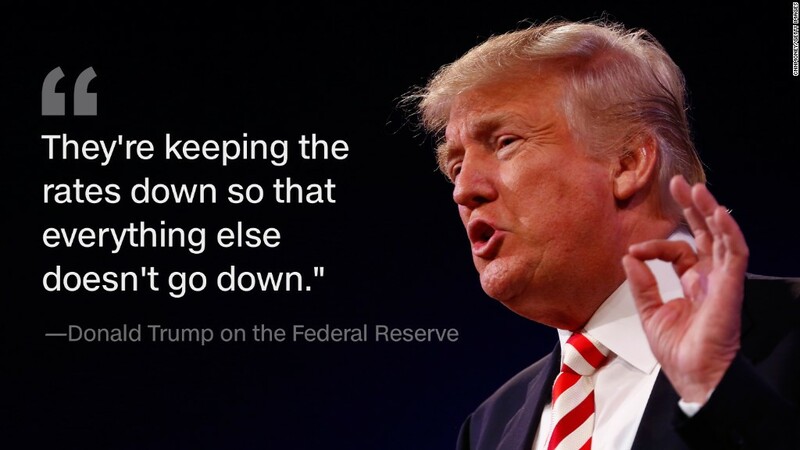 Often, a few top officials speak publicly in favor of increasing interest rates. Then days later, another one of them talks down a rate hike. These conflicting messages from the Fed's top leadership continue to hurt public confidence in the Fed, experts say. "This is a disaster in terms of credibility," says Dan North, chief U.S. economist at Euler Hermes. Investors "don't think there's any credibility in what [Fed officials] say because there's too many voices." The Fed has kicked off its two-day meeting on Tuesday. All eyes will be on Chair Janet Yellen when she speaks shortly after the Fed's makes its announcement at 2 p.m. ET Wednesday. Related: Why won't the Fed raise rates? Wall Street sees a very low chance of a rate hike on Wednesday, placing the odds of a rate increase at just 12%, according to CME Group. The minority who are betting that a hike will happen may have been encouraged by from the fact that some Fed officials recently had talked up the chance of a September move. Boston Fed president Eric Rosengren and Chicago Fed president Charles Evans made speeches in late August, arguing the Fed should raise rates sooner rather than later. Then three days later, Fed Governor Lael Brainard argued against raising rates in a speech. Stock markets can get rattled when leaders of the decision-making Federal Open Market Committee hint at raising rates, says Ed Yardeni, chief investment strategist at Yardeni Research. He called it the "Federal Open Mouth Committee." But "these stock swoons seem to be the shortest, because other talking Fed [officials] scurried to calm the markets down," by talking down the chance of a rate hike, Yardeni says. Fed leaders often dismiss any questions of credibility by pointing to recent, weak economic numbers. Job growth slowed in August and consumer spending has dipped recently. With economic growth already sluggish, hopes of a Fed rate hike in September were all but dashed. Still, some experts say it's time to raise rates. After all, the Fed typically increases rates by just 25 basis points -- 0.25% -- which many describe as a drop in the bucket. There are concerns that stock markets could be volatile after the U.S. presidential election, meaning the Fed might have a limited window of opportunity. "Credibility for the Fed is a tough challenge right now," says Sylvia Maxfield, dean of the Providence College School of Business in Rhode Island. Her advice: "let's just do it now, and get it over...this is a window." Maxfield says she's a contrarian and believes there's a chance the Fed will raise rates Wednesday. At the beginning of the year, Fed leaders projected they would raise rates four times this year. But a slew of setbacks -- low oil prices, fears of China's slowdown, weak hiring in May -- persuaded the Fed not to move. Such a significant change of plans undercuts the Fed's credibility, some experts say. If the Fed does not raise rates in September, it only has two more meetings for the rest of the year, and many believe it will wait until its December meeting to raise rates. The Fed "needs to save face by hiking at least once this year," says Christopher Veccio, a currency analyst at DailyFX, a research firm.